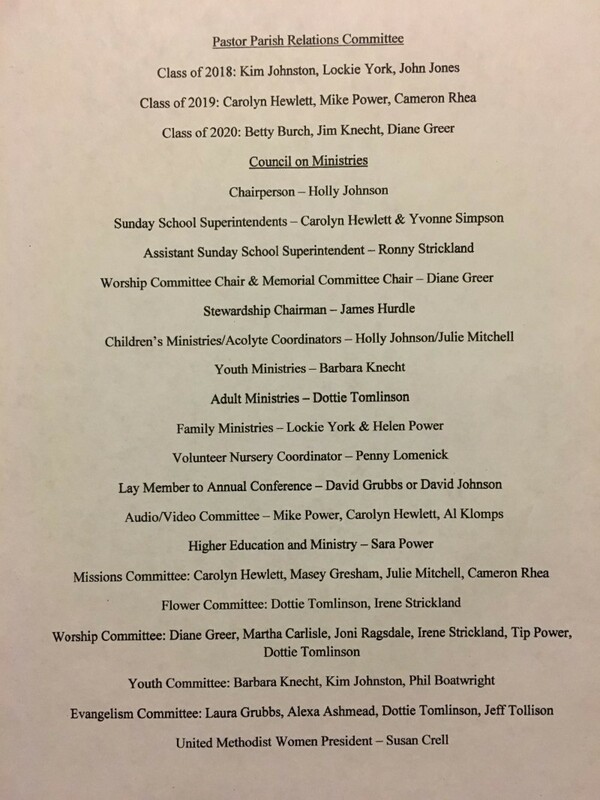 The Council of Ministries is a group of servants and leaders who do ministry in our church and community. 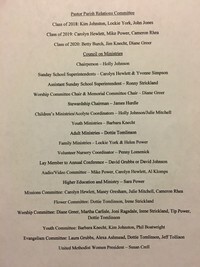 These individuals are nominated and selected to serve on a yearly basis by our Nominating Committee and Church Council. The Council of Ministries meets on a regular basis for planning and reporting in support of the overall mission of our church. If you have questions, would like to contact anyone on our list, or be added or removed from any area of service, please call our Pastor at (662) 252-1439. Thank you so much for your valuable service to our church!